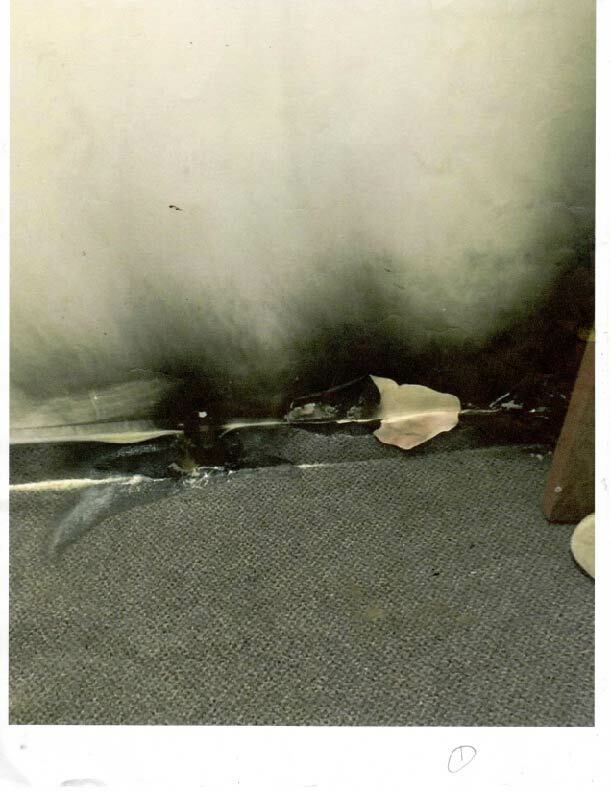 Meadows Fire – Arson or Accident? If you believe you know Ron is guilty and have irrefutable evidence, and are willing to testify in court or be Subpoenaed, feel free to call Brandon. Vicious Villain, or Falsely Accused and Helpful Hero? Nearly all Ron’s constitutional and civil rights were violated by law enforcement agents. There has been no mandated discovery and no speedy trial. The prosecutor has failed to deliver all discoveries or proof of guilt. He was treated like a domestic terrorist. Ron is innocent. 1. The fire started around 11:45 p.m. Ronald was not in the building at the time the fire began. The Bountiful City police detained and interrogated him all night. 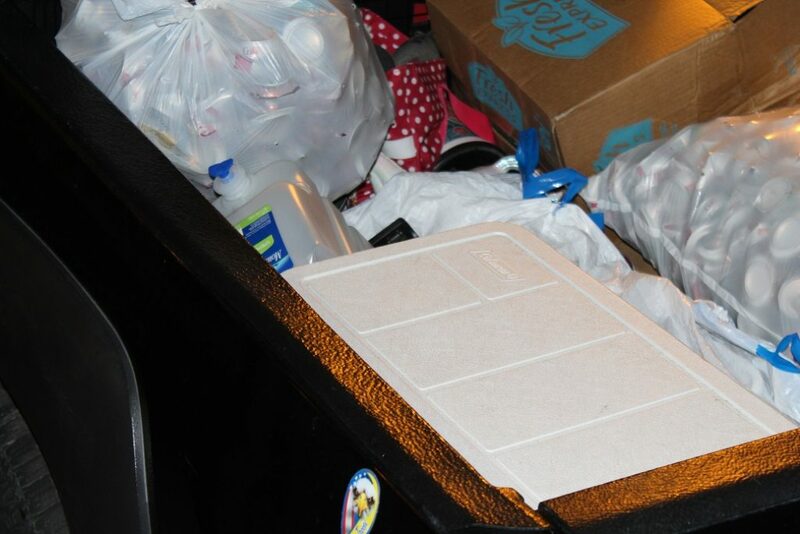 A gas container was found in the back of his truck in the parking lot of the apartment complex. 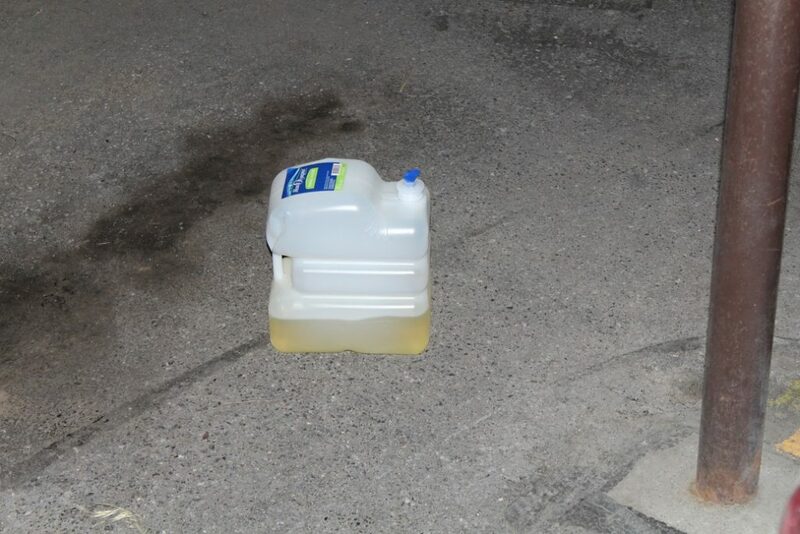 Earlier that night, Ron unwittingly spilled gasoline on his pants and shoes at a parking lot near a public well where he went to obtain drinking water. 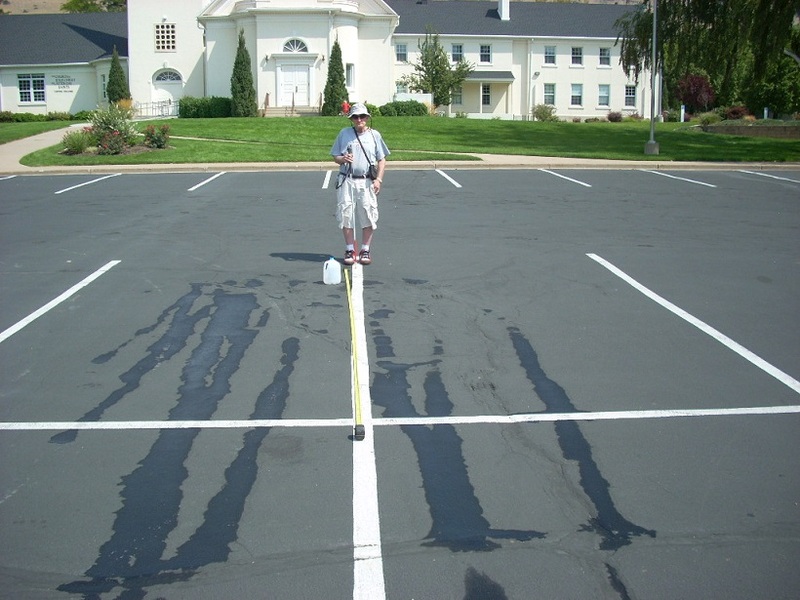 The well is next to a church parking lot (200 east and 200 south, Centerville, UT) where the gasoline spill created marks in the asphalt. 2. While Ron was being interrogated on site, the night of the fire, without a lawyer present, the police forced him to remain outside without a coat or any protection from the cold weather. They also denied him an opportunity to get his medication to take to the jail. 3. After being arrested Ron was held incommunicado without defense and due process until the day of his arraignment 13 days later. 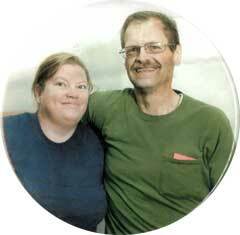 Ron’s (friend retained), private attorney, wife, friends, and church leaders were not allowed to see him. The phone system did not allow them appropriate communication either. The court did not offer him an attorney until minutes before his court hearing. The private attorney retained by Thomas Rodgers, first tried to contact Ron at the jail 4 days after the arrest but was not allowed personal contact until Ron was being brought into court 13 days later. 4. 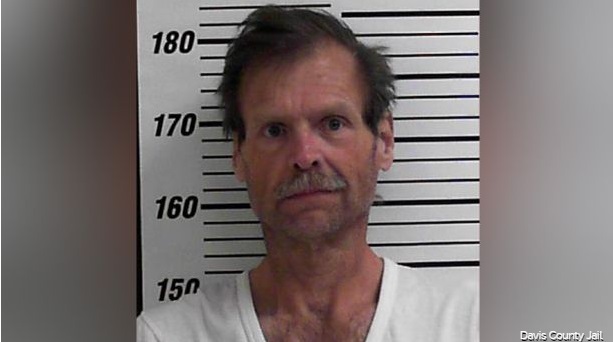 On the 3rd day at the Davis County jail, the fire department investigator and the detective from the Bountiful Police Department attempted to intimidate Ron and tried to force him to sign a confession against his will, mind and knowledge. 6. In his past, Ron was an honorable Certified Licensed Public Proffessional Safety Officer until his declining health and disability interferred. His first concern that night of the fire was the safety and well being of his fellow occupants at the Meadows apartments, many of whom are amputies, crippled, blind, hearing impaired, deaf and otherwise handicapped, including his own wife. Does the following evidence suggest deliberate arson or simply someone’s clumsy accidental ignition garbage spill? 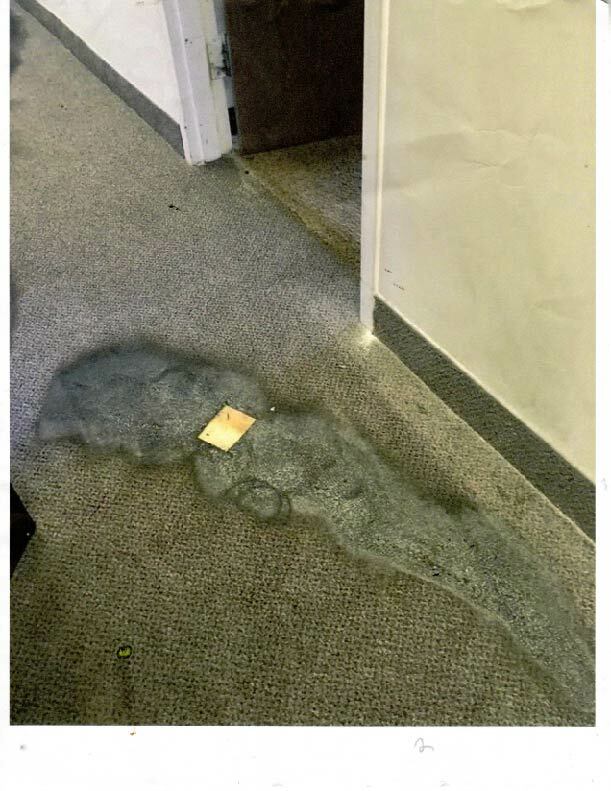 Curiously, the spill seems to have begun in front of the door of the tenant who stepped over the fire to exit her apartment. This trivial fire was like a line of birthday candles caused by a flammable fluid, drizzled, dripped and straifed through the hall and down the stairs to the outside walkway passing around a ground based power transformer and a propane powered supplemental power generator (opposite to the transformer) then around the transformer to the dumpster. Beyond the drip’s wetted area, carpets didn’t burn, and paint did not burn but only collected soot (condensate) because the walls were cool or cold. Only one occupant simply had to only step over the flames. 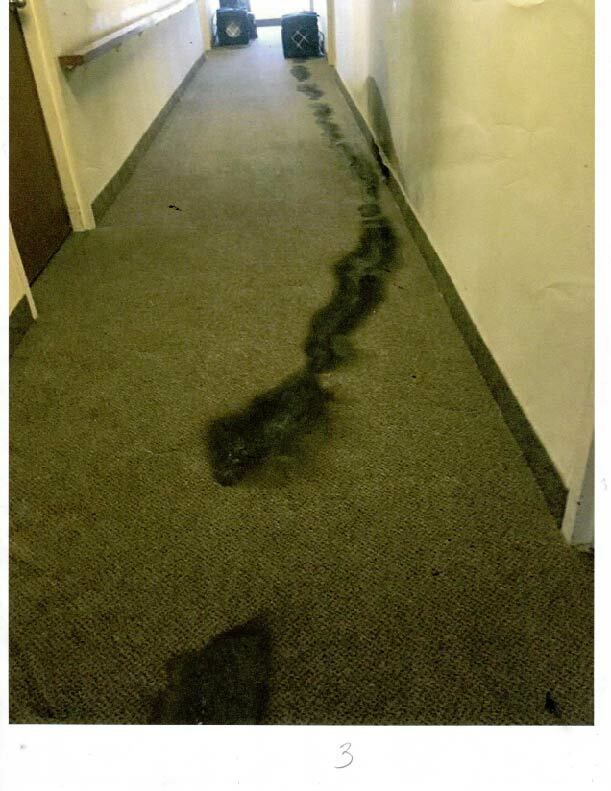 Two others exiting their apartment simply walked beside the small non-threatening flame to exit the 57 ft long and 5 ft wide hallway unthreatened, unaffected, and unharmed. The officer reached down to inspect the liquid…. …he smelled the liquid but had no reaction as if it were gasoline. Flammable liquid, low molecular weight (simple) low kinetic energy, high vapor pressure however high fusion (oxidation temp) it burns with a nonluminescent flame (invisible to eye) until other contaminants are incinerated i.e. made or forced to burn. 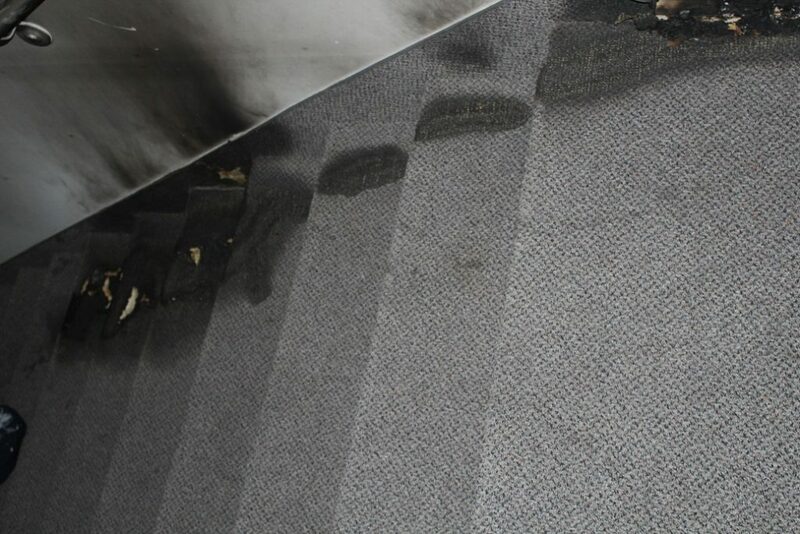 The lint, carpet and other materials are forced to burn then the flame becomes visible but not sustainable in this case. 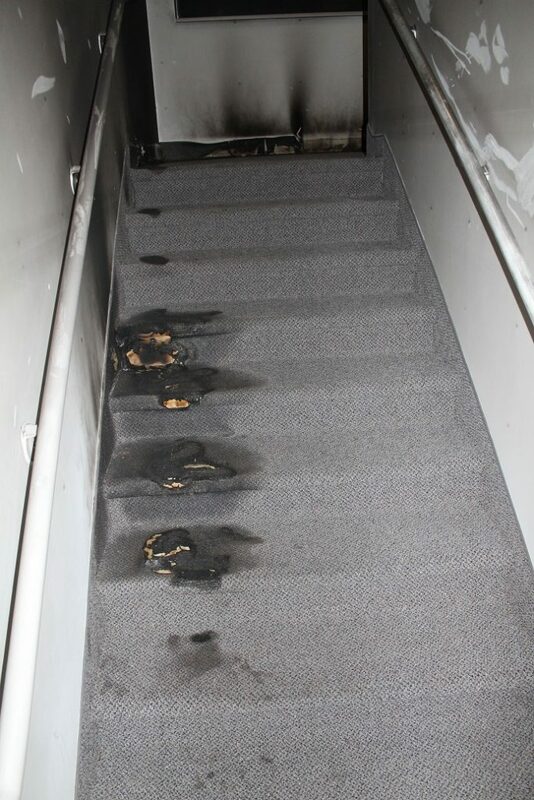 Carpets are made of Polyethylene (ie petroleum), but with a flame retardant added to the carpeting material, that will not allow it to continue to burn for any extended length of time of itself. 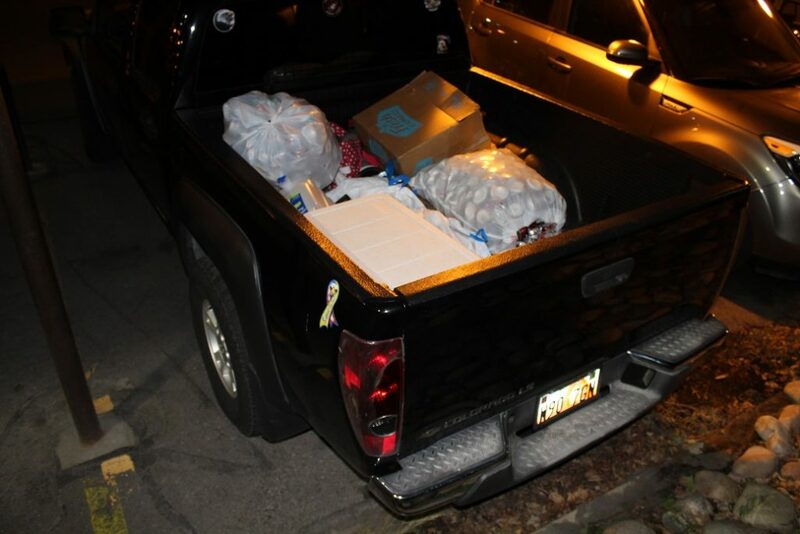 History and Disposition of Gasoline and Container Located in Rear of Ron’s Truck. 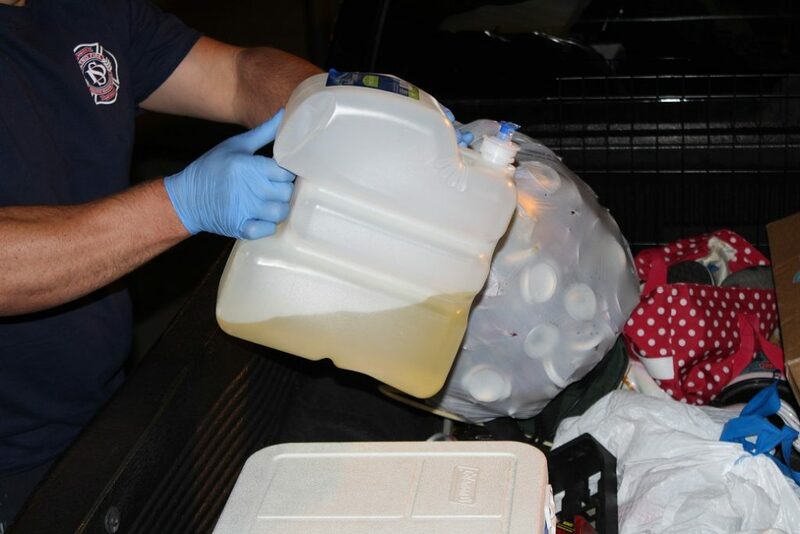 3 days prior to the fire, Ron was asked by his past (ex)family associate to carry this unapproved for gasoline water jug. Ron unwittingly accepted this jug from this previous acquaintance, unaware that the acquaintance was asking him to carry an unapproved for gas container. (The acquaintance operates a lawn service and wanted to carry more than his DOT approved containers could hold.) 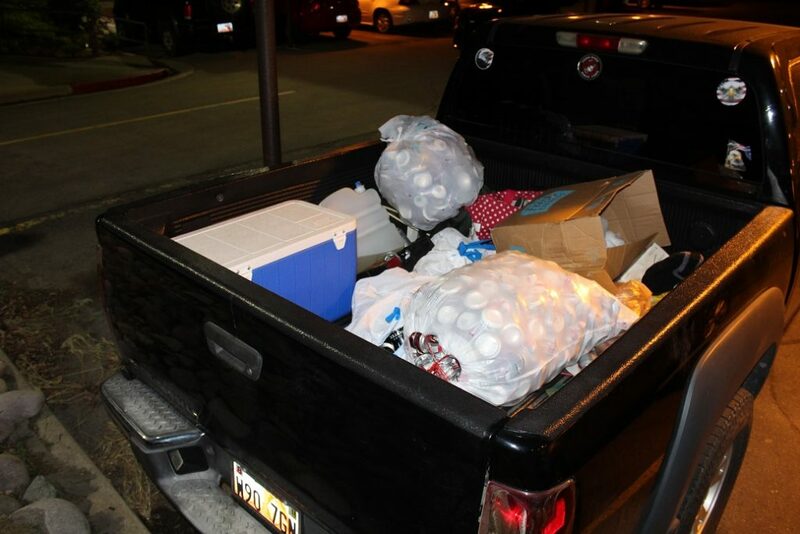 After he placed the container in the back of Ron’s truck, he assured Ron that he would come over to Ron’s apartment at the Meadows and retrieve this unapproved container which he planned to use in his lawn care service. Ron drove around 3 days not realizing that the cap was insecure as provided. A few hours (approximately 9:45 – 10:00 p.m.) prior to the fire Ron went for coffee(mocha) and then went for well water at the Centerville 1st ward church. 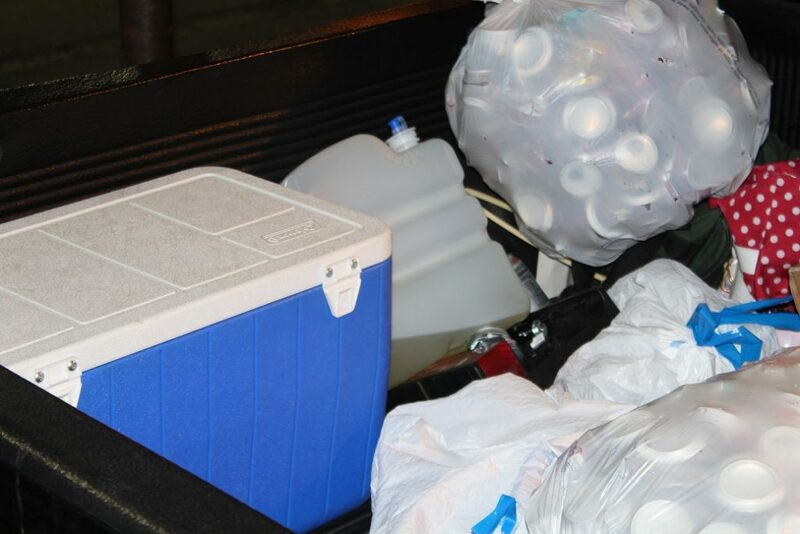 He reached forward to lift the 2 gallon water container filled with gas (left with him by the ex- family associate,) out of the way to access his regular water bottles stored in his cooler. Under the exertion of reaching, Ron’s pacemaker was shocking him and giving him terrible stress. Because of the pain and destabilizing effect caused from the pacemaker, his actions were not stable and because of the unsealable, insecure cap, he spilled the the major part of the gasoline in the container on his pants, shoes and the parking lot asphalt. Location of gasoline spill: Centerville 1st Ward Church – 160 south 300 east. The well is on the southwest corner of the lot near 2nd south and 2nd east. 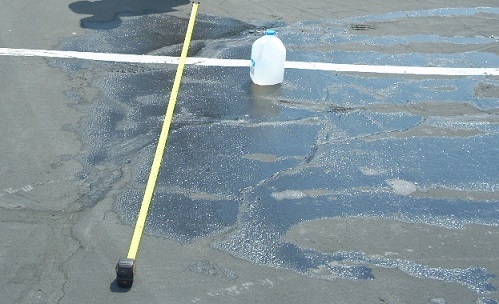 The spill mark where asphalt is damaged by the gasoline spill is on the 2nd east side and the west center edge of the parking lot. Other cars were parked close to well, so Ron parked away from the well (150 south.) 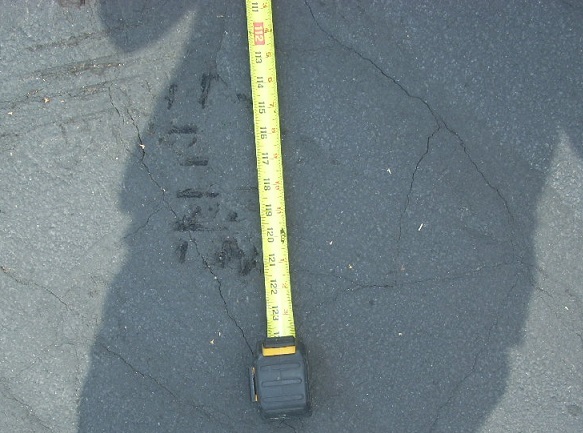 The asphalt damage is still recognizable. Ron then walked around a few minutes with his dogs to allow the gas to dry, since he didn’t have a change of clothes or boots until the gas had evaporated and then he returned with his coffee and dogs to the Meadows parking lot. This all happened about 10 pm about 2 hours before the fire. One hour later approximately 10:45 – 11p.m. Ron took the dogs for a walk having not changed his clothes and not realizing that he still smelled like gas, like a smoker cannot smell his own smoke. Walking around for about 2 miles, he returned to the building about 11:45 just as the fire alarm sounded. The fire must’ve started before Ron entered the building because the alarm sounded only seconds after he entered the building. He immediately went to his apartment and advised his wife Susie to get dressed in order to leave the apartment. He then picked up his phone which he hadn’t taken with him on his walk. Ron then stepped into the hall and called 911. They told him to locate the fire. He reported that it was small. After searching for and locating the fire, they told him to evacuate the building. Ron was already trained previously as a 1st responder for fire and rescue so his first concern was to help those who had injuries impeding their ability to leave the building. Ron’s wife informed residents while Ron assisted amputees in putting their legs on, and carried a resident with back injuries out of the building. 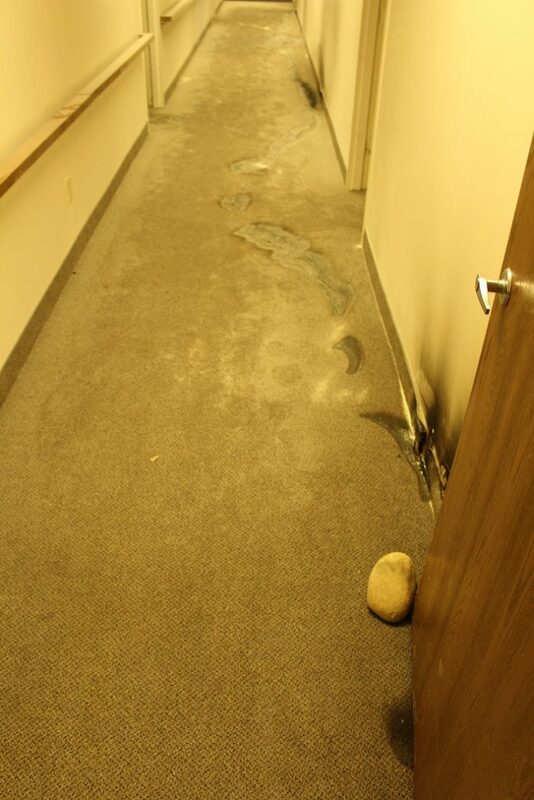 Ron then put out part of the small fire with fire distinguisher foam before having to leave because of the smoke. The rest of the fire burned itself out. The fire department arrived after the fire was out. There was no fire when the fire department arrived. As Ron walked in the building 2 hours after the spill, smelling like gas, it made him the easy suspect. The police and apartment tenants noticed his smell. They conjured the idea that Ron was an arsonist. History, Disposition and Intent of Lighter The police report states that a cigarette lighter was in Ron’s pocket. He was planning on using it for a barbeque on the following day and again on Memorial Day to celebrate his wedding anniversary. A gallon of gasoline has the kenetic energy of 70 to 90 million foot pounds or 123,000 btu. One gallon = 33 kilowatt hours. This is the equivalent of 33 space heaters in the hall and stairway running on high for an hour. How hot would that be? 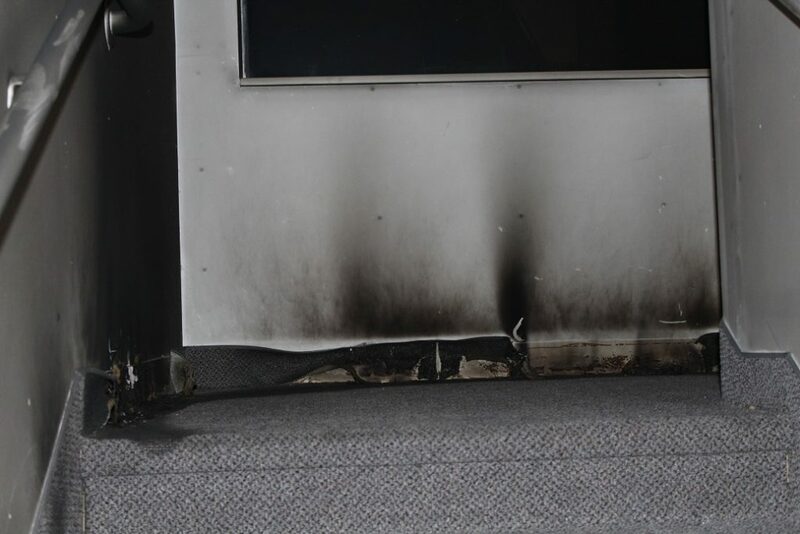 Do you think there would be any paint, plastic or carpet left unburned? 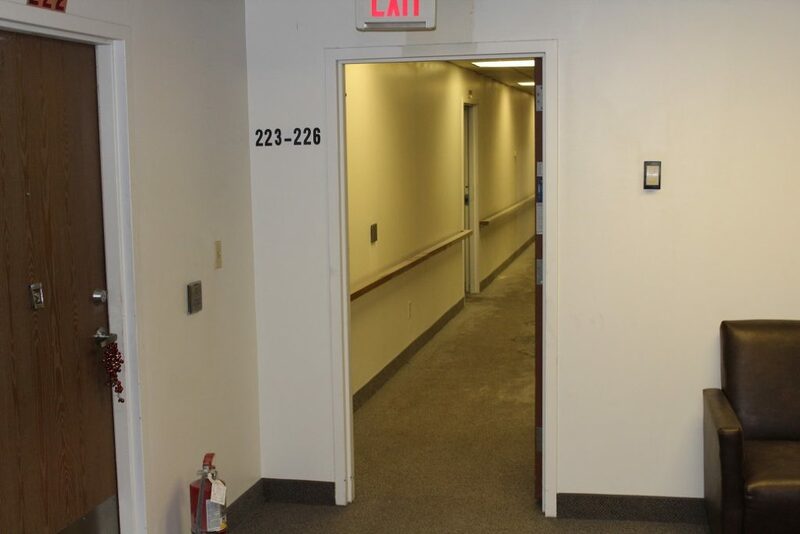 If a gallon of gasoline had been spread and ignited with a cigarette lighter the ignition and explosion would have blown out all the windows and doors of that hallway. 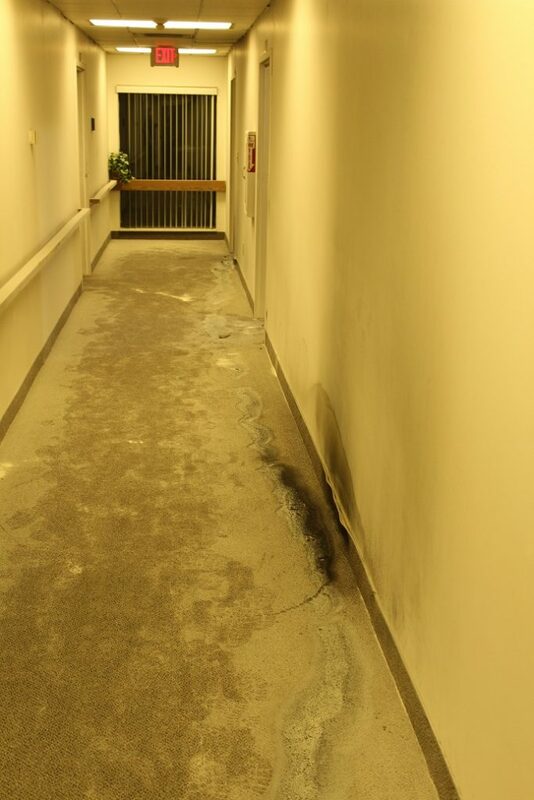 It would have seriously burned or killed the arsonist and the individuals in apartments attached to that hallway. 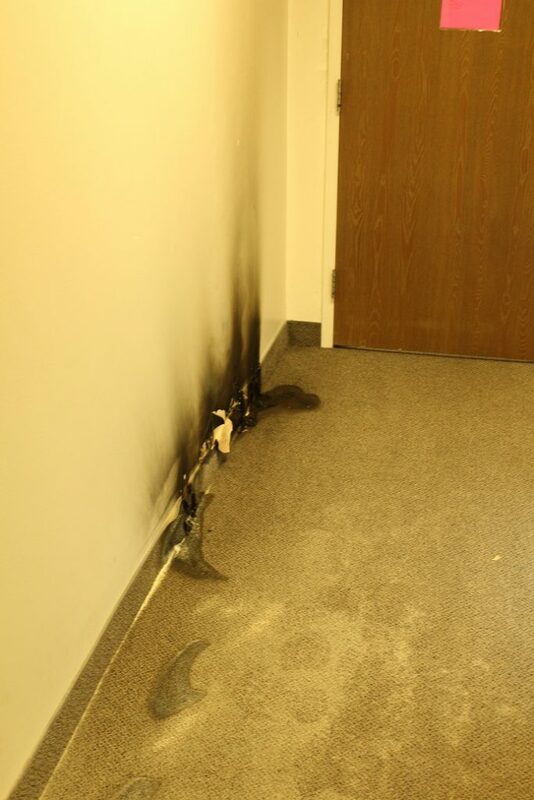 However, the individuals living in that hallway walked out uninjured and unharmed. The fire would not have burned out before the fire department arrived had gasoline been used. Person of interest #2 The only other individual adversely affected by the fire was an individual who didn’t live in that hallway but was using that hallway as a pathway to dispose of his garbage as did many others. A rock was found by the door often used to prop the door open. 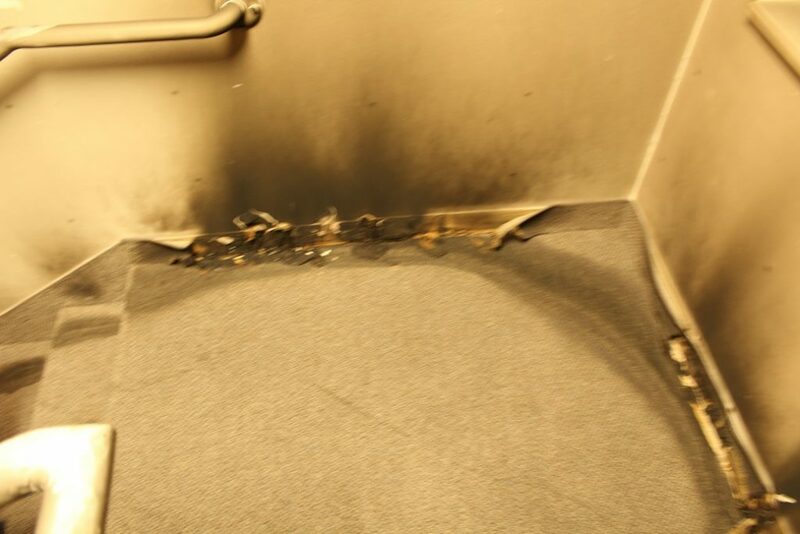 As he returned into the building and into that hallway the flames must’ve become evident underneath his feet. He apparently tried to pat out this trivial or nonthreatening fire even using his hands. He obviously panicked when he realized he could not put out the fire that appeared to have ignited during his passage up the stairs and through the hallway. A common ignition of this type of fires is static discharge or friction like a rock in a cleat striking the cement or metalic threshold. 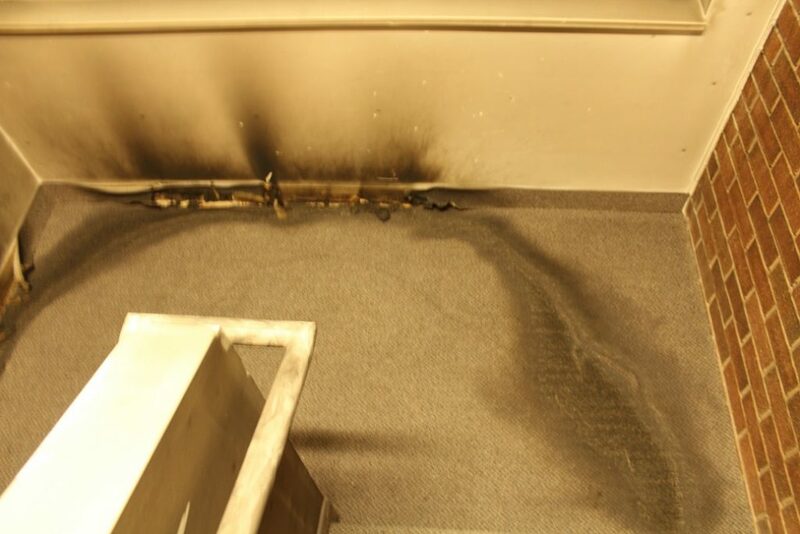 Also a cigarette spark flicked by anyone near this type of spill could have also caused the ignition. This individual was triaged and transported to the hospital by ambulance for serious smoke inhalation and burn injuries to his hands. Where is the police and medical report of this person of interest #2 who was seriously impacted with smoke inhalation and heat irritation to his hands and body? This person who was staying with a friend at the meadows complex abruptly left and has never returned to the facility. Why not? Why have we not seen or heard of the interrogations or record of activity of this individual since he was the only one transported or examined to the hospital for injury that evening? Person of interest #3 A heavy set man wearing grey shorts and a blue tee-shirt was noticed loitering near the area of the spill track outside, possibly sneaking a quick smoke as many others do in this area near the transformer and pet defecation site and close to the fire’s stairway door. for updates on the case. Meadows Fire, Proudly powered by WordPress.